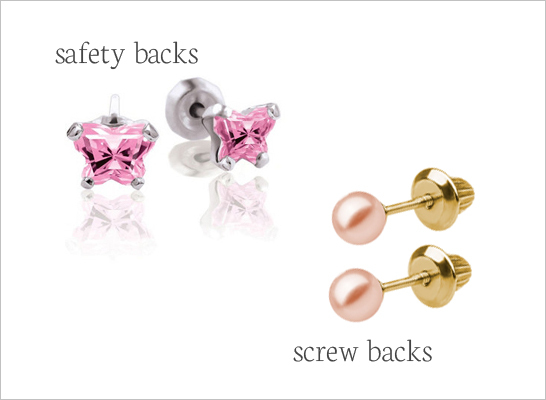 We have the special replacement backs that fit most of our children's screw back earrings. We have the screw backs in sterling silver, 14kt yellow gold, and 14kt white gold. 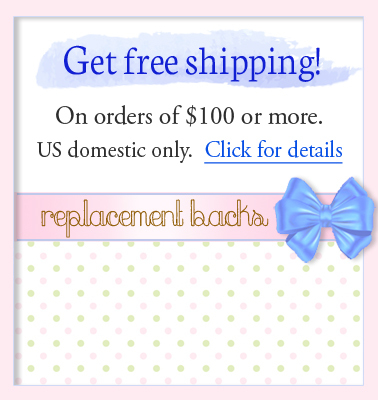 We also carry replacement backs for the safety push-on earring styles. 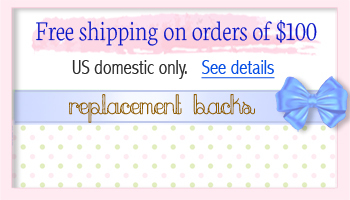 Check the style of your earring before purchasing; please call if you need help. 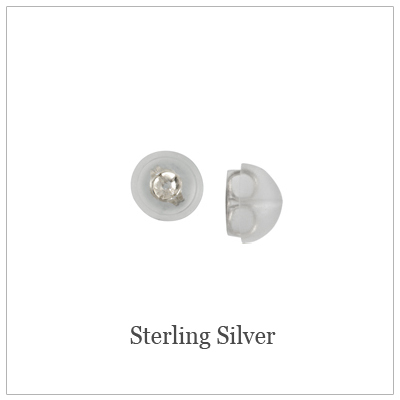 Sterling silver push on replacement backs for earrings, these are encased safety backs. 10kt yellow gold push on replacement backs for earrings, these are encased safety backs. 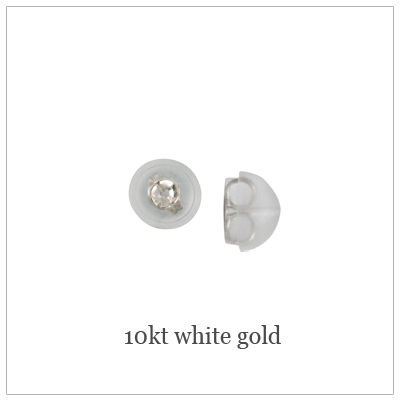 10kt white gold push on replacement backs for earrings, these are encased safety backs. 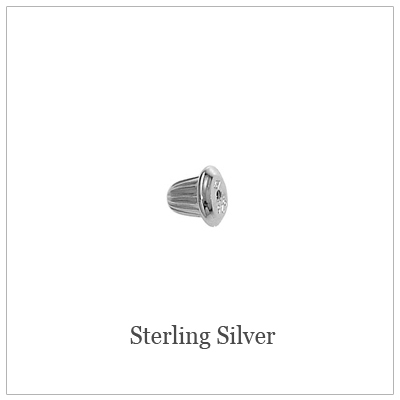 Sterling silver replacement screw backs for children earrings sold throughout our store. 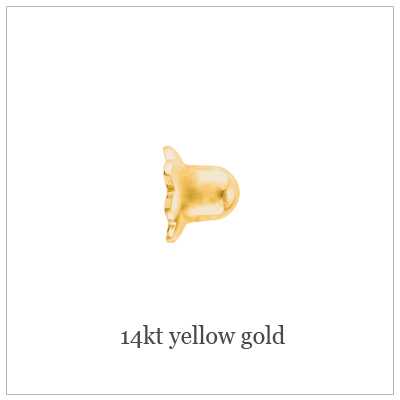 14kt yellow gold replacement screw backs for children earrings sold throughout our store. 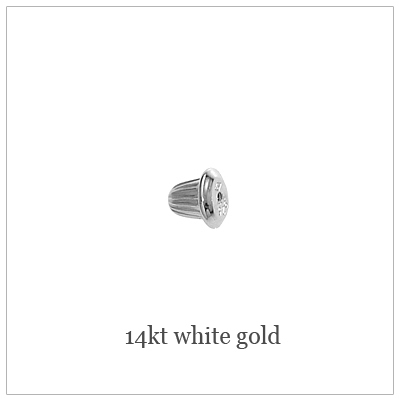 14kt white gold replacement screw backs for children earrings sold throughout our store. 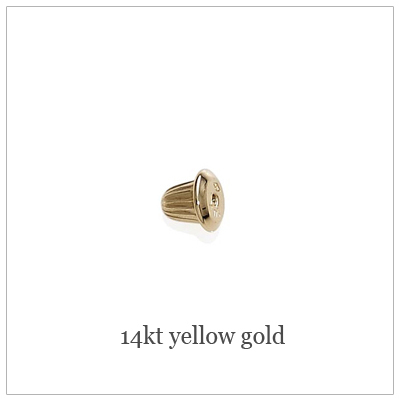 14kt gold replacement screw backs for children earrings, will fit particular earrings- see description.